​Read or tell a simple story, with an obvious beginning, middle, and end. Then ask the children to retell the story in their own words. Ask questions about the sequence – Did the boy go out to play before dinner, or after dinner? And then what happened? Use simple sequence pictures of the story, and have the children put them in order. Let’s look at some tools and machines that help us measure time, or tell the time. Wristwatch, clock on TV or microwave, clock on wall, alarm clock, clock radio, clock on phone, in car etc. A calendar is another way that we can measure time. It tells us the days, months and years. ​Which do you think takes longer to do: turn off the light or eat dinner? Ask similar time related questions. Ask for reasons for answer. Some things that measure time are digital, and some are analog. We can tell which are analog because they usually have a round or square “face” with numbers going all the way around, and two hands that point to the numbers. 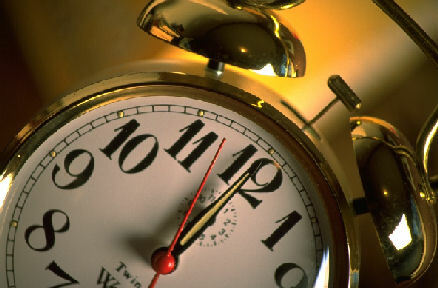 Digital timepieces usually have a space for just a short line of numbers, which clicks to the next number every minute. Let’s watch a digital clock click a couple of times. Can you be very patient? Wait, it’s getting ready to click. Why do you think we have clocks near a stove? Beside our bed? On our wrist? Explore an hourglass. Give the children tasks to do before the sand all falls. Have them predict if a certain task can be completed in time, or not. ​​Learn a song naming the days of the week. Celebrate a birthday. Ask the children to try to remember when they were babies. Does it seem like a long time ago? How did you act then? How have you changed during that time? Scientists have discovered that dinosaurs lived a ling time ago, by exploring bones and fossils. Let’s try and imagine a world when dinos lived, and make a picture of it. Nobody really knows what might happen in the future, because it hasn’t happened yet. We can think about it and make good guesses, based on what has happened in the past, and what is happening now. Things definitely will change. Let’s think about it and make a picture of some things you think might change, and be different in the future. Cut up old calendars. Some children will cut on the lines, some will recognize numbers.